How incredible does it sound to have the ocean right in your backyard or close enough to walk to? We absolutely love the idea! To kick off warmer months we pulled together our top 5 beach houses - scattered along the east coast, these houses are in the perfect locations. They have so much to offer too, with spacious outdoor areas and organic details throughout we fell in love with a piece of each of them. This stunning cedar shake residence is perfectly placed atop a sandy dune, surrounded by palms and plants with the back porch looking out to the sea. A spacious 5 bedroom, 6 bathroom makes this pick the ultimate beach house. Further down the list you'll see homes we've picked for their gorgeous outdoor space but this home has a different approach to outdoor living, and we love it just the same. The gorgeous porch and balcony are ideal for spending relaxing afternoons. We enjoy the simplicity of the space and how it urges you to slow down! 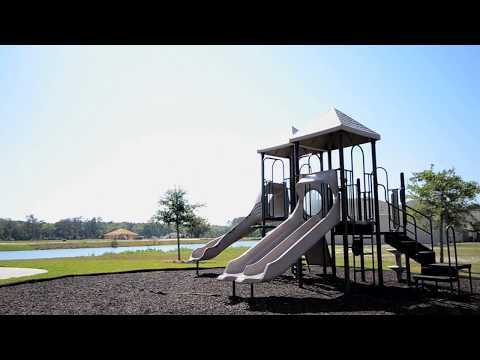 The location and layout of the home is set up for you to enjoy the laid back lifestyle of Old Ponte Vedra. Located in the Fernandina Beach area of Amelia Island this gorgeous 5/5 offers plenty of space to host. The open patio layout creates a unique space blending the indoors with the out, perfect for Summer nights spent entertaining. The patio is complete with a beautiful saltwater pool, bringing elements of the ocean a bit closer to your backdoor. Here at Bloom we're all about the outdoor space – can you tell? Especially with warmer days right around the corner. This Ponte Vedra Beach beauty is ready, with a raised infinity pool, a spa and outdoor kitchen this space screams Summer – but can be easily enjoyed all year long. The inside of the house is a mix of contemporary elements with a classic twist, the perfect pair. The vaulted ceilings and wood details make for a stunning, eye catching space. This house is among the many beautiful homes in the neighborhood Oceanview, close to everything you need so you can spend more time enjoying your ocean view. This home has a gorgeous outdoor kitchen with a waterfront view, complete with a dock and boat lifts. The patio area has a relaxed, simple living feel - transporting you straight to the tropical islands. This home is located in Isle of Palms, the perfect spot to access the parks, shopping and restaurants nearby. A driveway lined with palm trees? What a welcome home! A gorgeous interior showcasing natural elements such as wood and stone and white accents really highlight the beach style. French doors open up and blend the indoor living space with the outdoor area. The private backyard has a pool, cabana lounge and a stunning outdoor kitchen - the perfect recipe for coastal living.